OSHA today issued a final rule to modernize injury data collection to better inform workers, employers, the public, and OSHA about workplace hazards. With this new rule, OSHA is applying the insights of behavioral economics to improve workplace safety and prevent injuries and illnesses. OSHA requires many employers to keep a record of injuries and illnesses to help these employers and their employees identify hazards, fix problems and prevent additional injuries and illnesses. The Bureau of Labor Statistics reports more than three million workers suffer a workplace injury or illness every year. Currently, little or no information about worker injuries and illnesses at individual employers is made public or available to OSHA. 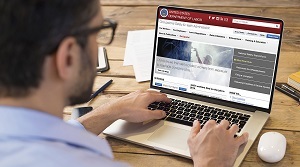 Under the new rule, employers in high-hazard industries will send OSHA injury and illness data that the employers are already required to collect, for posting on the agency's website. Under the new rule, all establishments with 250 or more employees in industries covered by the recordkeeping regulation must electronically submit to OSHA injury and illness information from OSHA Forms 300, 300A, and 301. Establishments with 20-249 employees in must electronically submit information from OSHA Form 300A only. To ensure that the injury data on OSHA logs are accurate and complete, the final rule also promotes an employee's right to report injuries and illnesses without fear of retaliation, and clarifies that an employer must have a reasonable procedure for reporting work-related injuries that does not discourage employees from reporting. This aspect of the rule targets employer programs and policies that, while nominally promoting safety, have the effect of discouraging workers from reporting injuries and, in turn leading to incomplete or inaccurate records of workplace hazards. The new requirements take effect August 10, 2016, with phased in data submissions beginning in 2017. These requirements do not add to or change an employer's obligation to complete and retain injury and illness records under the Recording and Reporting Occupational Injuries and Illnesses regulation. For more information see the news release and blog post by Deputy Secretary of Labor Chris Lu, and visit OSHA's webpage on the final rule, which includes links to a fact sheet and frequently asked questions.